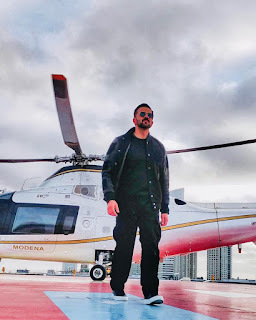 Mumbai 18th July, 2018: Known for his impeccable direction skills and on-screen action aesthetics, Rohit Shetty is all set to go on yet another journey of his upcoming reality-action television series, Khatron Ke Khiladi. "Argentina - 9 Degree Celsius at present...Difficult Terrain to Shoot Action! 35 Days, 62 Stunts No Computer Graphics... Cuts, Sprains, Bruises. Pure Real Raw Action and That’s what I Love! Khatron Ke Khiladi Begins..."
We've seen Rohit for hosting Khatron ke Khiladi last year in daunting and extreme locations. Certainly, we can't wait to watch him back with some spine-chilling stunts and a bunch of enthusiastic participants.